AgustaWestland, a Finmeccanica's company, is a provider of total capability solutions in the vertical lift markets. Through its rotorcraft systems design, development, production and integration capabilities, its experience in the training business and its customer focused Integrated Operational Support solutions, the Company delivers unrivalled mission capability to military and commercial operators around the world. By investing in new products and partnerships, AgustaWestland is focusing on its strategic vision of being synonymous with helicopters and vertical lift. Founded as a trading company in China in 1832, Jardine Matheson is today a diversified business group focused principally on Asia. Its businesses comprise a combination of cash generating activities and long-term property assets. The Group’s interests include Jardine Pacific, Jardine Motors, Jardine Lloyd Thompson, Hongkong Land, Dairy Farm, Mandarin Oriental, Jardine Cycle & Carriage and Astra International. These companies are leaders in the fields of engineering and construction, transport services, insurance broking, property investment and development, retailing, restaurants, luxury hotels, motor vehicles and related activities, financial services, heavy equipment, mining and agribusiness. Jardine Matheson Holdings Limited is incorporated in Bermuda and has a standard listing on the London Stock Exchange as its primary listing, with secondary listings in Bermuda and Singapore. Jardine Matheson Limited operates from Hong Kong and provides management services to Group companies. Johnson Matthey is a global leader in sustainable technologies — many of the group’s products enhance the quality of life of millions through their beneficial impact on the environment, human health and wellbeing. Our planet is a multifaceted and fast-changing place. With a growing and ageing population and a clear shift towards urban living, governments and consumers are increasingly concerned about air quality and people's health. And with supplies of natural resources under ever-increasing pressure, their sustainable use has never been higher on the agenda. Against this backdrop, organisations want to know how they can improve the efficiency, effectiveness and sustainable impact of their products and services, while also delivering the best business results. That's where we come in. With our world-class science and technology, we're tackling the world's big challenges one product at a time. Using what we know about chemistry and materials, we work collaboratively with our customers to develop tailored solutions to get the best possible outcomes for them. We also bring our manufacturing skills to navigate the challenges of scaling up from lab into commercial production. And because we know the pace of change never stops, we apply our science expertise to the next generation of products and services, preparing our customers for the challenges of tomorrow. Kuala Lumpur Kepong Berhad (“KLK”), a company incorporated in Malaysia, is listed on the Main Market of Bursa Malaysia Securities Berhad with a market capitalisation of approximately RM22.45 billion at the end of September 2014. 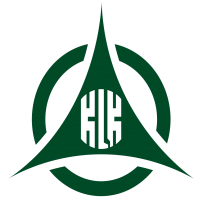 Started as a plantation company more than 100 years ago, plantations (oil palm and rubber) still lead as KLK’s core business activity. Through various strategic acquisitions and sound management, the Group’s plantation land bank now stands at over 270,000 hectares spread across Malaysia (Peninsular and Sabah), Indonesia (Belitung Island, Sumatra, central and east Kalimantan) and Liberia (Palm Bay and Butaw). With replantings in Sabah and vast new plantings in Indonesia progressively brought into harvesting, the annual crop production is expected to increase rapidly in the years ahead. Processing of the crop is carried out in KLK’s own mills and refineries into crude palm oil, RBD palm olein and stearin, and palm kernel oil and cake. Weir Minerals are specialists in delivering and supporting slurry equipment solutions including pumps, hydrocyclones, valves, screen machines and screen media, rubber and wear resistant linings for global mining and mineral processing, the power sector and general industry. Our products strength lies in the superiority of our hydraulic designs and wear and corrosion and abrasion resistant materials. In slurry pumping, processing and control applications where the cost of ownership often outweighs capital cost as a priority, we help our customers address such issues as longevity, capacity, efficiency of operation, and maintenance. We are there for you and your operation, every step of the way. Since 1885, Royal Selangor has produced a wide range of pewter ware from tableware to personal accessories. The company is continuously pushing the boundaries of pewter through collaborations with organisations such as the British Museum and the V&A as well as partnerships with award-winning designers like Erik Magnussen, Viewport Studio, and Nick Munro. It is also renowned for bespoke commissions for Dom Pérignon and Veuve Clicquot. Headquartered in Kuala Lumpur, Royal Selangor has a retail presence in London and major cities such as Beijing and Melbourne. Our products are also carried by Harrods, Selfridges and other leading UK stores. Sime Darby was incorporated in 1910 by businessmen William Sime, Henry d’Esterre Darby and Herbert Mitford Darby to manage 500 acres of rubber estates in Malacca, Malaysia. From such humble beginnings, Sime Darby has grown into one of Malaysia’s biggest multinational corporations. Today, Sime Darby is a key player in the Malaysian economy as well as a diversified multinational, with businesses in key growth sectors namely, plantations, industrial equipment, motors, property and energy & utilities with operations in more than 20 countries. Sime Darby is one of the largest companies listed on Bursa Malaysia and has a market capitalisation of RM49.8 billion (USD13.5 billion) as of 1 June 2015. Sime Darby recognises the importance of balancing economic performance with social responsibility. Committed to developing a sustainable future, Sime Darby strives to maintain an equitable balance between increasing value for shareholders and being responsible to society and the environment. 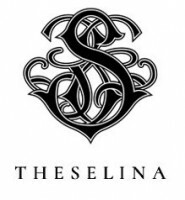 THESELINA® is a home-grown Malaysian brand with the highest quality with international aspirations, offering elegantly and stylishly design handbags cater to every modern day woman. Designed with great attention to detail, intricate and unique designs incorporating the artisan heritage skills of embroidery as a differentiator and luxurious look and feel, but affordable without compromising quality, style, and function.